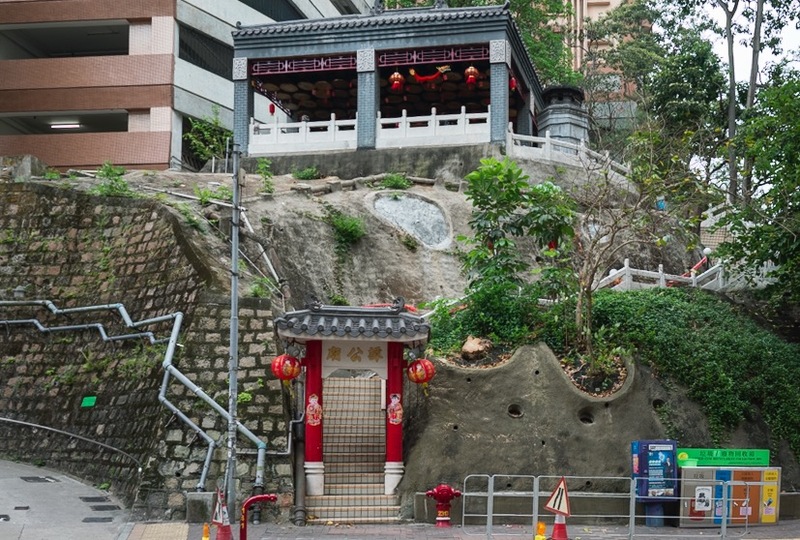 After I discovered the Pak Tai Temple in Wan Chai, I made another discovery: the Tam Kung Temple at Blue Pool Road. 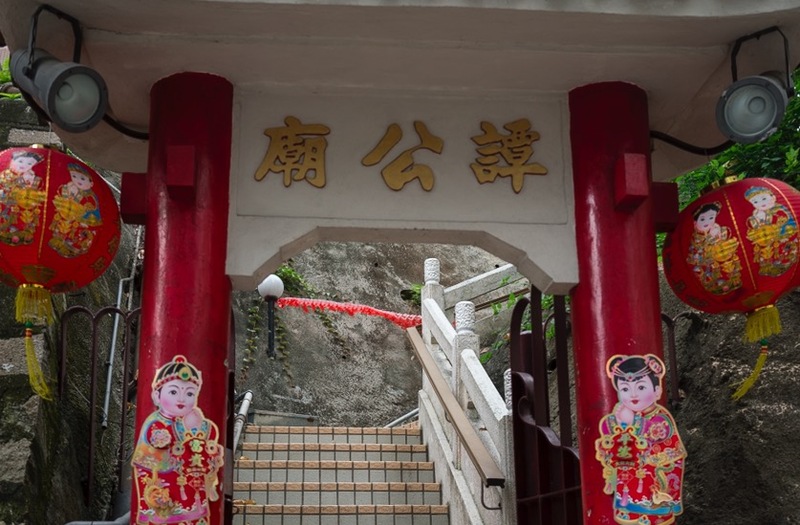 This temple sits above the main road and you have to climb several stairs to reach it. 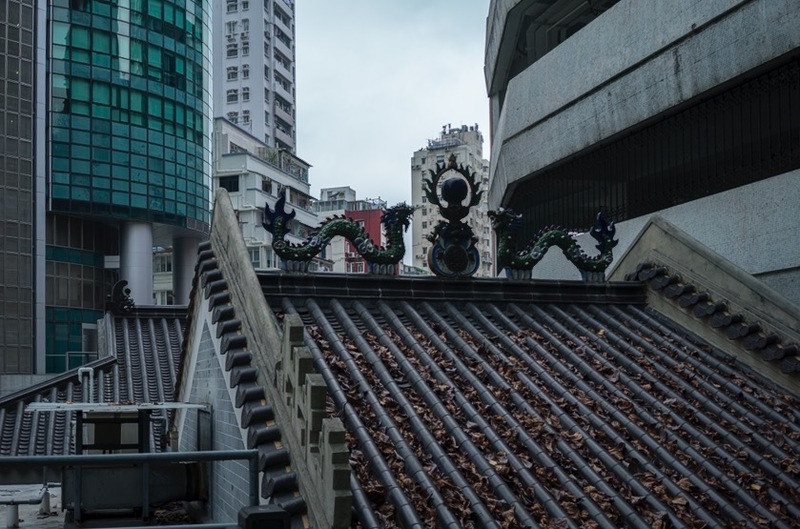 It is dwarfed by the surrounding skyscrapers (including a car park) and almost forgotten by the public – we were the only visitors on the day we went. 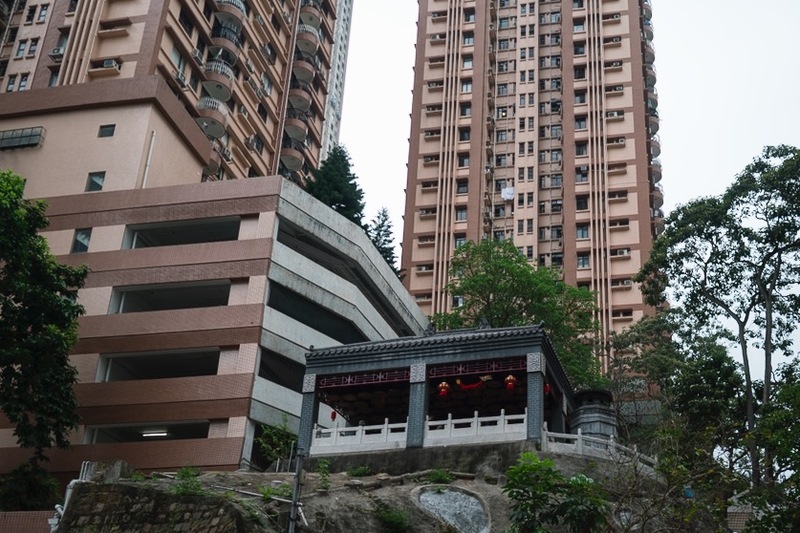 The temple was previously located on a slope near the Hong Kong Sanatorium and Hospital in Happy Valley, but demolished during urban development. 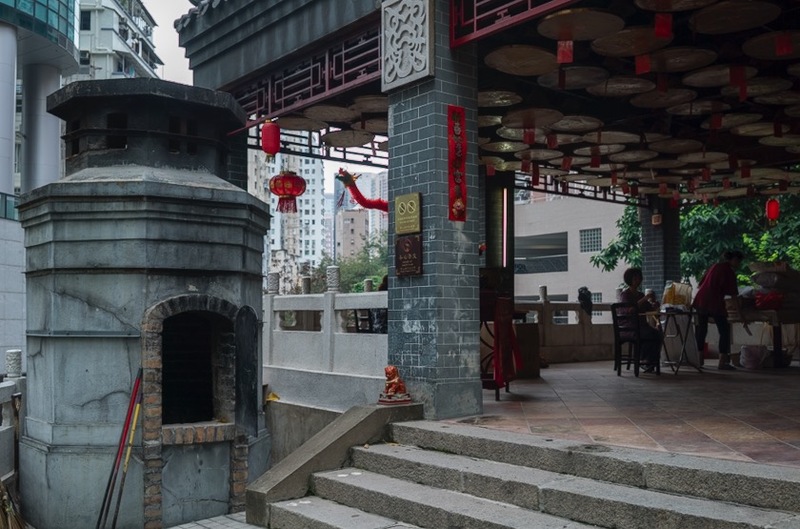 The new temple was built in 1901 in its current location, after Tam Kung appeared to a young boy in a dream and guided him to the present site. 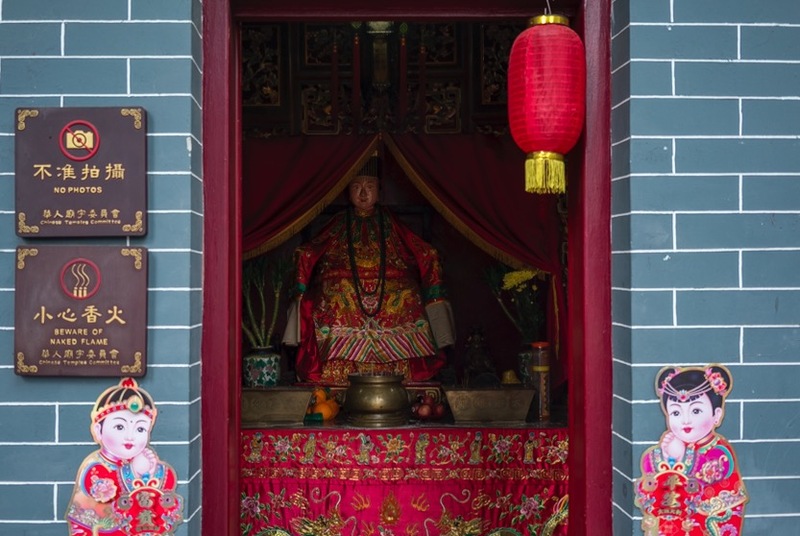 Tam Kung is said to possess supernatural powers to command the wind and rain, and cure the sick. 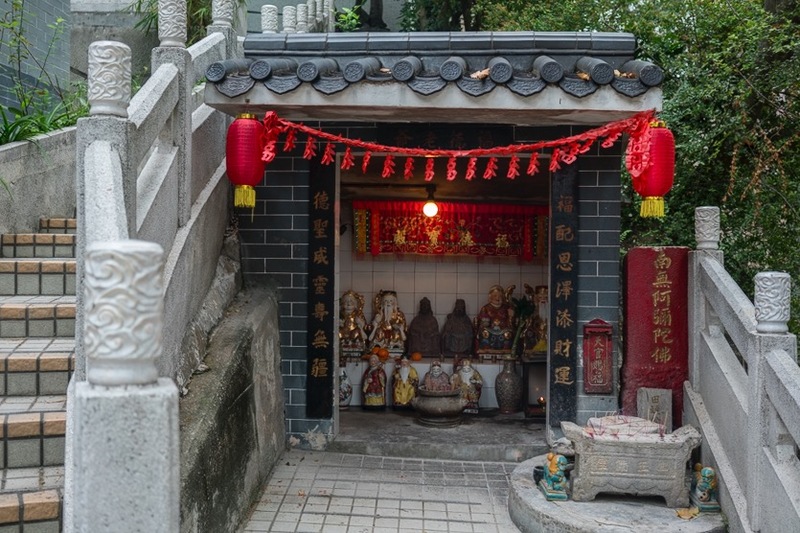 At the back of the main temple is also a Tin Hau temple, who is the goddess of the sea. 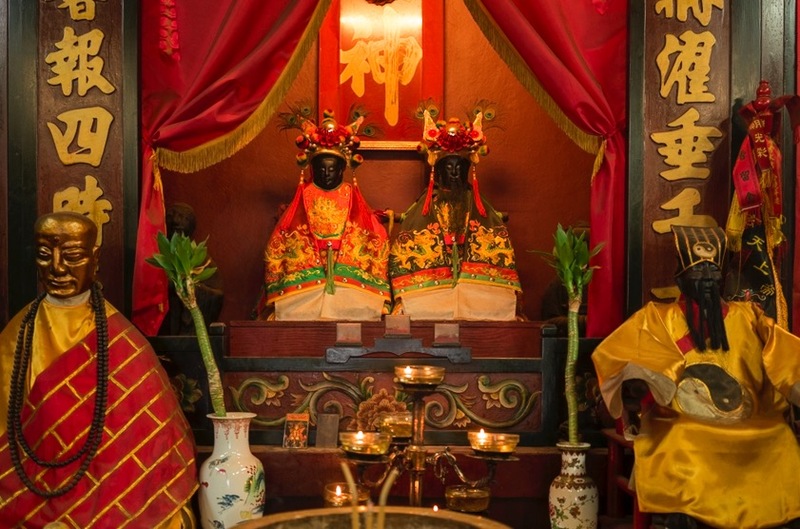 This temple had undergone major renovations in 1989 and 2005. 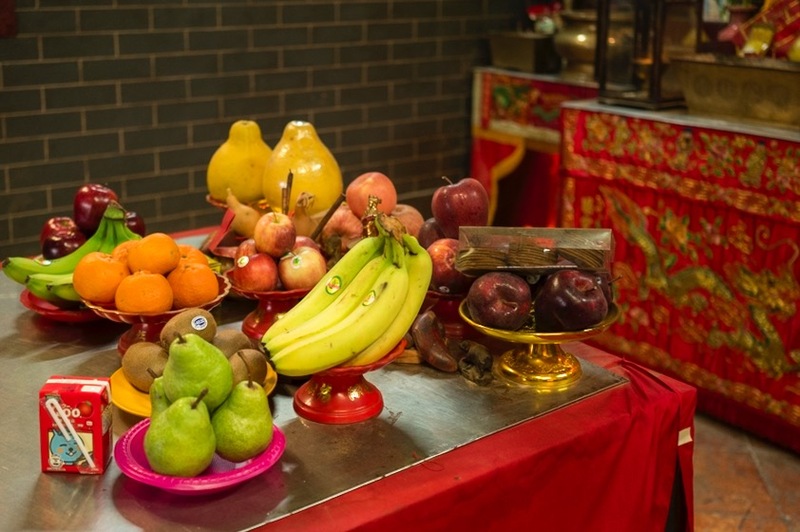 It is a small, but nice temple to visit – should you be in the area!